CHRISTCHURCH, New Zealand (Reuters) - Husna Ahmed was 19 when she arrived in New Zealand from Bangladesh on her wedding day. Waiting to meet her was Farid, the man she would marry in a few hours, as their families had agreed. 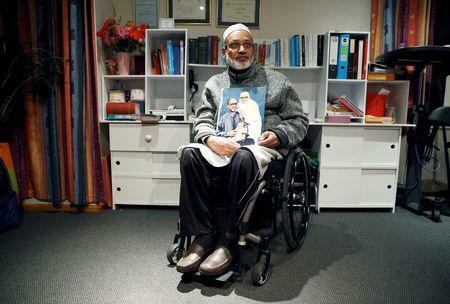 A quarter of a century later, the life they had built together was torn apart when a gunman walked into the Al Noor mosque in Christchurch and began firing on worshippers at Friday prayers. He managed to escape when he heard the shooting begin. He returned when the gunman left to find many of his friends and community members dead, and comfort those who were dying. Farid found out about his wife's death when a detective he knew called his niece as they waited outside the mosque. She passed the phone: "I don't want you to wait the whole night, Farid. Go home, she will not come,” Farid said the detective told him. "At the moment I hear that, my response was I felt numb,” Farid told Reuters. "I had tears but I didn't break down." A total of 50 people were killed in the rampage, with as many wounded, as the gunman went from Al Noor to another mosque in the South Island city. Their funerals began on Wednesday. Australian Brenton Tarrant, 28, a suspected white supremacist, has been charged with murder. He entered no plea and police said he will face more charges. "She's such a person who always put other people first and she was even not afraid to give her life saving other people,” Farid said. Farid said he had forgiven his wife's killer. "I want to give the message to the person who did this, or if he has any friends who also think like this: I still love you," Farid said. "I want to hug you and I want to tell him in face that I am talking from my heart. I have no grudge against you, I never hated you, I will never hate you." 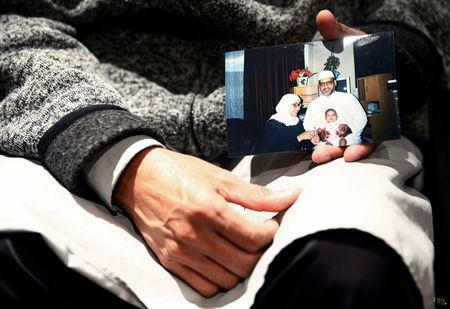 Hours after the massacre, the front room of Farid's home in a sleepy Christchurch suburb was full with survivors and friends, grieving for a woman many described as like a mother to them. Husna was born on 12 October in 1974 in Sylhet, on the banks of the Surma River in northeastern Bangladesh. She was so fast that Shahzalal Junior High School would only let her run three races, to give her rivals a chance, Farid said. Thin, nervous and overwhelmed, she burst into tears when her husband-to-be picked her up from Auckland airport. When Farid's workmates at a meatpacking plant agreed to work half an hour longer on Fridays so he could take a break to pray, she cooked them a feast every week in thanks. And when Farid was partially paralyzed after being run over by a car outside their house four years into their marriage, she moved with him to Christchurch and became his nurse. "Our hobby was we used to talk to each other. A lot. And we never felt bored," he said. When Christchurch was razed by a deadly earthquake in 2011, Husna helped settle an influx of Bangladeshi migrants - engineers, metalworkers and builders - who came to assist the rebuilding of the shattered city. Faruk, whose wife in Bangladesh is three months pregnant, was also killed at Al Noor mosque. "My husband had so many dreams for our baby," said Sanjida Zaman, 19. "He dreamed of us being moved to New Zealand in a few years and my baby will get education there. What will happen to baby? Who will take care of my baby? I just can’t think." Faruk's employer, Rob van Peer, said he had allowed his team to leave early last Friday after they finished a job by lunchtime, meaning Faruk could attend Friday prayers. Zakaria Bhuiyan, a welder at another engineering firm, also died. His wife, Rina Akhtar, 27, was at Dhaka airport on Wednesday, waiting to fly to New Zealand to bring her husband’s body back to Bangladesh. “End of this month, I was supposed to get a visa to travel to New Zealand. We were so excited. My husband told me he could not wait to show me the country," she told Reuters. "He was our youngest brother and was the apple of our eyes of our family," said his brother, Shahadat Hossain. "We could not study much due to poverty. Only he could reach to that level and became a doctor. He had always wished to provide a better life for our family." All three men knew Husna, said their friend Mojibur Rahman, a welder and former flatmate of Faruk. "It's really hard because we are a little community but everyone's living here in unity, we know each other, we share everything with each together," he said. "Now I don't know what's going to happen, how we become normal." 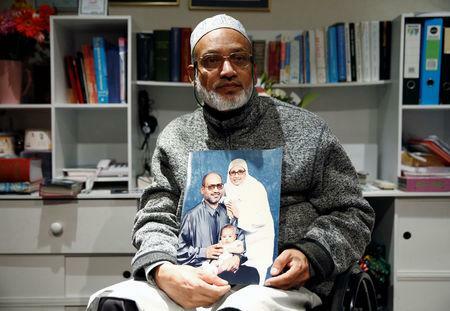 The fifth Bangladeshi victim was Abus Samad, 66, a former faculty member of Bangladesh Agriculture University who had been teaching at Christchurch's Lincoln University. Many new workers to Christchurch brought young families, or were starting them. Husna took it upon herself to care for women through their pregnancies, often waking Farid at all hours so he could drive her to the births. "We think she's like a mother…if there's something we needed, we go to Husna," said Mohammed Jahangir Alan, another welder. A few days later Husna shaved the infant's head, an Islamic ritual which she did for dozens of children in the community. She was so gentle the baby fell asleep while she pulled the razor over the soft skin. Now, Husna's devastated female family members will wash her for her funeral, expected later this week. "We know she would just want us to be a part of it, to wash her," said her sister-in-law Ayesha Corner. After the burial, Farid says he wants to continue the work he and his wife did in the community and to care for their 15-year-old daughter. "I didn't miss a second, I said: 'She is with God,'" Farid said. "She said: 'You are lying'. She said: 'Are you telling me I don't have a mother?'" "I said: 'Yes, but I am your mother now and I am your father...we have to change the roles."